37 tables giving Marshall Part No, Makers Part No, Quantity and Description, rigid card cover in good condition. £20. 21 pages, including Preparation, Controls, Operating Instructions and Maintenance. Rigid card cover. In excellent condition, £10. Three copies available. 58 pages, including illustrations, Drawing No, Name of Part and No. per machine. Two copies in good condition - £25 each, one copy with hand writing on the front £15. Includes a chapter about Marshalls. Lots of photos, in excellent condition. £5. Published in 1920, this 48 page photocopy includes diagrams, photos and maps. £15. 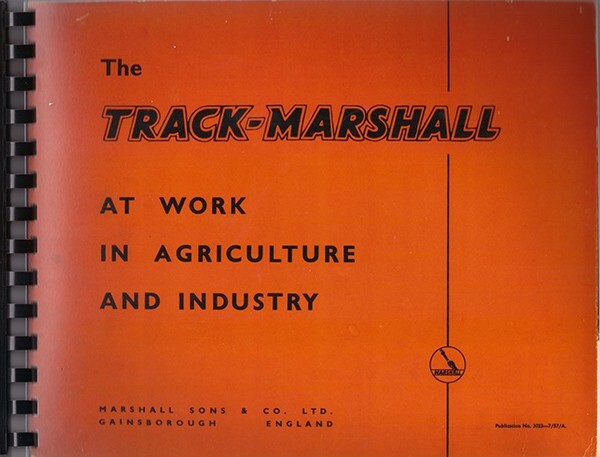 If you are interested in purchasing any of the above Marshall's manuals please contact us or visit the Heritage Centre during opening times.